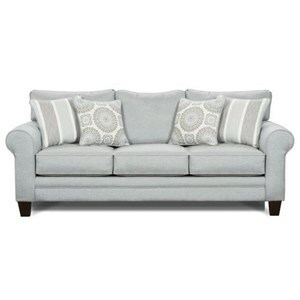 Maximize the traditional charm in your room decor with this subtly elegant and sophisticated sofa. 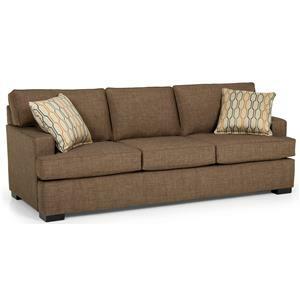 Plush seat cushions are highlighted by rolled, nailhead-trimmed arms and turned wood legs. 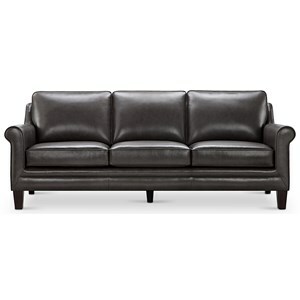 The seat base is highlighted by larger nailheads for an extra touch of classic sophistication. 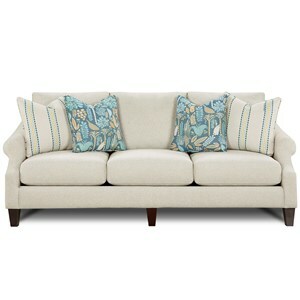 Softly textured Alpine Topaz fabric covers the body of the sofa, while fringed accent pillows in Nadalie Tobacco print add a burst of color. 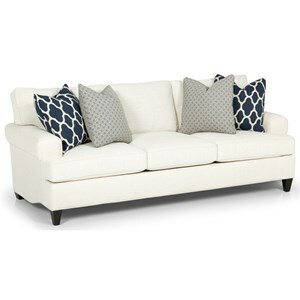 The 191 Traditional Sofa with Rolled Arms and Nailhead Trim by Stanton at Gallery Furniture in the Oregon, Portland, Clackamas, Washington, Beaverton, Northwest, Vancouver area. Product availability may vary. Contact us for the most current availability on this product.